The Barra de Santiago offers access to El Salvador´s third largest mangrove area. Los Cóbanos has a beautiful beach of golden sand, located in the largest northern Pacific rocky reef. Ideal for scuba diving. El Zonte has an excellent beach for surfing. The beach is known for its bohemian atmosphere. 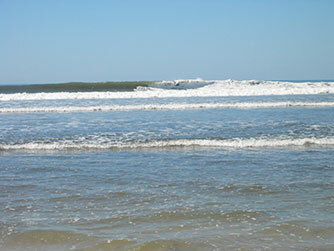 Playa Mizata is the ideal starting point for surfing. The beach offers a friendly camping esplanade. The beach Costa del Sol is one of the main tourist attractions of El Salvador, with many hotels and beach clubs. Playa El Cuco is a perfect beach to spend with family and disconnect from all bustle. Playa Las Flores is located next to El Cuco and is regarded as one of the best surf spots all over El Salvador.